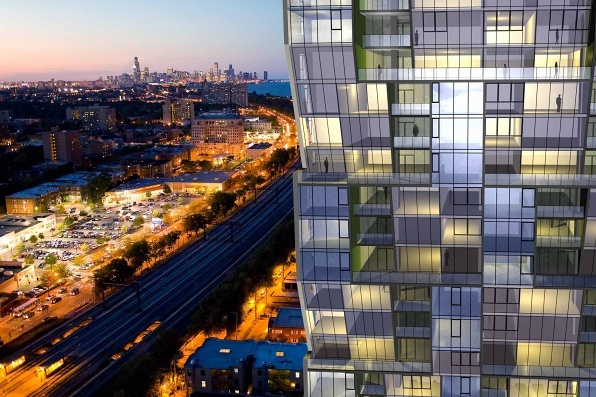 Rafael Viñoly Architects has released a movie and new images for the 896 ft. (273 m.) NEMA rental structure in the South Loop designed for developer Crescent Heights in 2013, which is scheduled to be completed later this year. 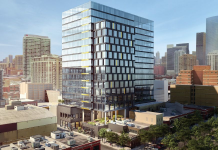 The rental project is being marketed under the developer’s “lifestyle apartment brand” NEMA. 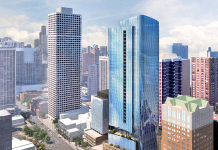 It will be the city’s tallest residential building when it is completed later this year. Viñoly describes in the video how his intention to continue Chicago’s strong architectural heritage – which he bills as the “birthplace of American architecture”. The simple glazed design draws on the works of celebrated modernist architects in the city, including Frank Lloyd Wright and Mies van der Rohe, as well as the Willis Tower, which is composed of stacked boxes and once held the title of the tallest building in the world, dezeen reports. 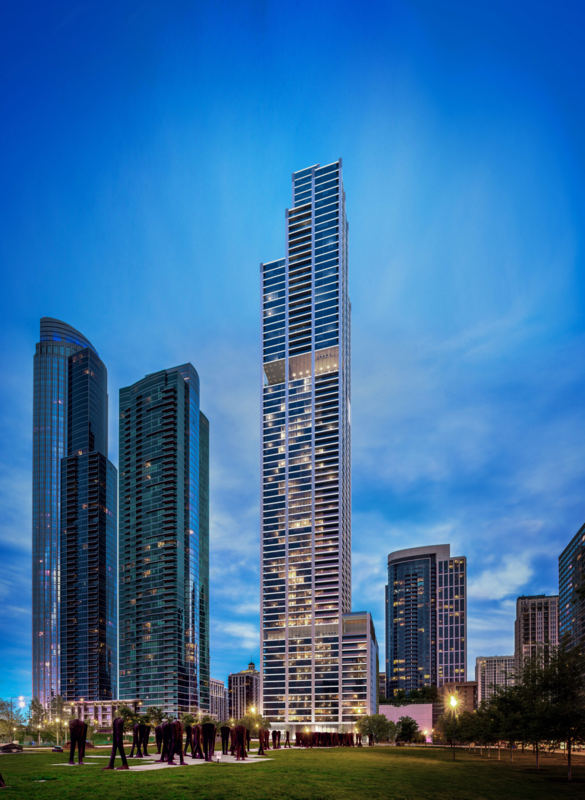 To create NEMA Chicago’s stacked form, Viñoly has segmented the skyscraper into three: a base podium, which will host residences with northern and eastern views; the “tail form” central section, featuring most of the residential units; and the stepped top, where apartments will have the largest floor plans and private rooftops. There will be large expanses of glazing, tall ceilings reaching nine feet (2.7 metres) high, and locally-made wooden flooring and custom cabinets. Building amenities include a sports bar, a private cinema and a chef’s kitchen for cooking demonstrations, as well as a 10,000-sq. ft. (930-sq. m.) “resort-style” outdoor deck, including a swimming pool. 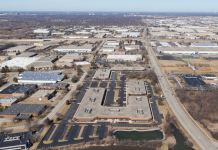 There also will be yoga, pilates studios and wellness studios, a boxing ring, a basketball court, and a spa and sauna. 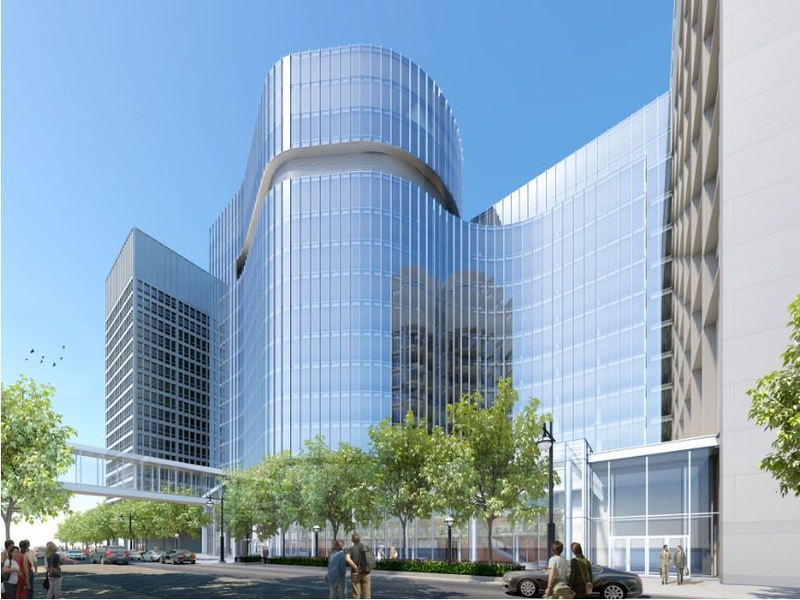 Chicago issued a $225 million building permit for the 76 story (80-level) project (associated with 1200 S. Indiana Ave.) in 2017, with James McHugh Construction Co. listed as its general contractor. 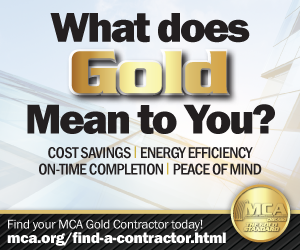 Other trades include: Electrical – Gurtz Electric Company; and plumbing and mechanical: AMS Mechanical.